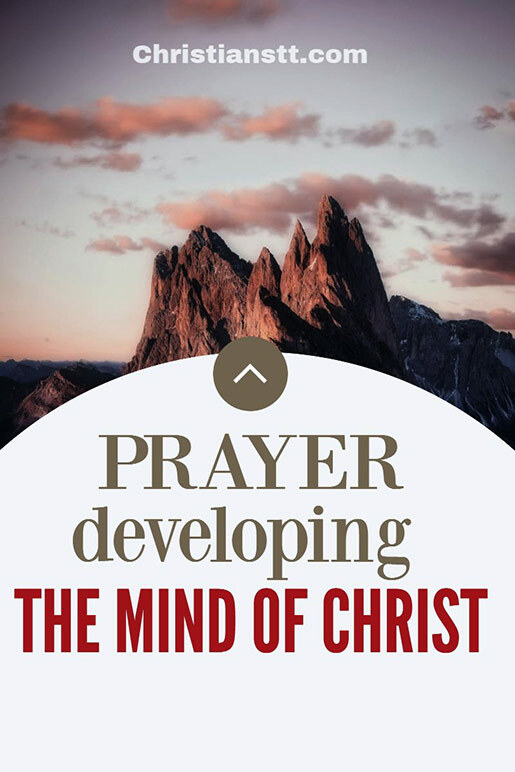 Prayer: Developing the Mind of Christ. We are living in trying times. Evil abounds and surrounds us. So, even more so, we should cling to the Lord and share the Gospel, that others may be saved before it’s too late. Philippians 4:13 reminds us that: I can do all things through Christ who strengthens me. 1 Corinthians 2:16 For “who has understood the mind of the Lord so as to instruct him?” But we have the mind of Christ. Loving Father, I prayerfully come into Your presence, petitioning the power and beauty of the mind of Christ, bestowed upon me by Your Holy Spirit. Give me the strength to rise above every trial and temptation thrown my way. Shape and mold me, Lord, into a true disciple of Christ. I hunger for You. I thirst for Your divinity. Quench me, Oh Lord. 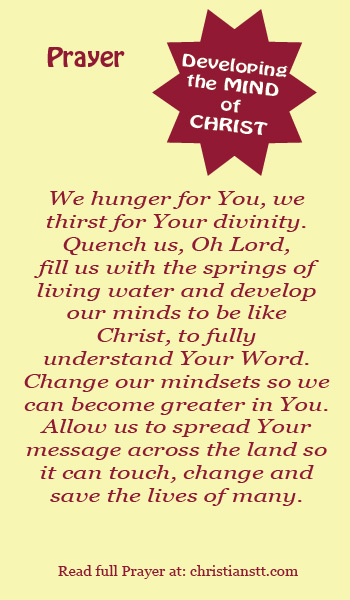 Fill me with the springs of living water and develop my mind to be like Christ, to fully understand Your Word. Change my mindset so I can become greater in You. Allow me to spread Your message across the land so it can touch, change and save the lives of many. Grant me wisdom as I seek Your face. My soul cries out and long for You. Hear my prayer, Oh Lord. Have mercy upon me and answer me, for I need You right now. Change my heart. If I am stubborn, strengthen my will to go on. Allow me to embrace Your mighty power and let Your will be done. In Jesus’ holy name I pray, Amen!